Just regular folks. 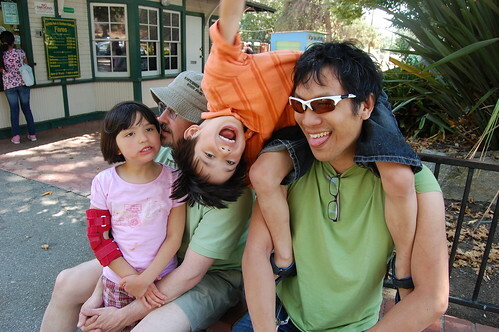 : Griffith park and Ding Tai Fung. 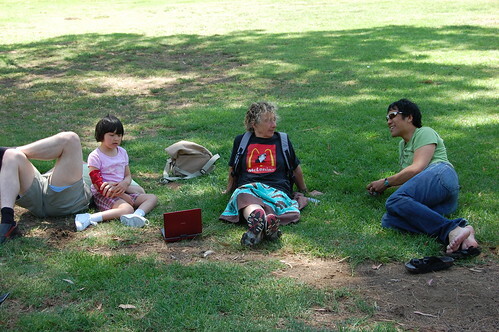 Sunday, we went to Griffith Park with Ruth. We went on the train. 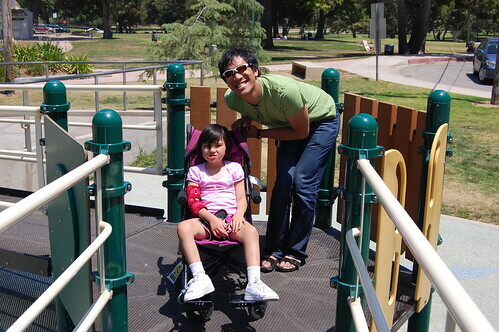 Griffith Park has a fully accessible playground. 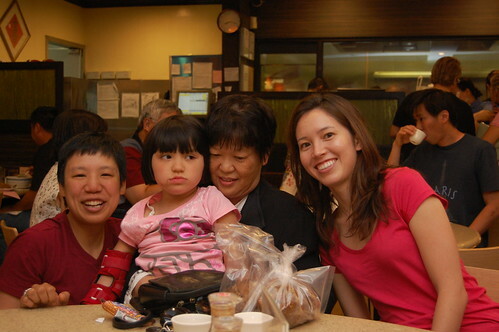 In the evening, we went to Ding Tai Fung, a great dumpling house and met up with Aunt Liz and Aunt Jane and Carrie who we last saw at our wedding! She's going to be a urologist.